Les Domaines Barons de Rothschild has made excellence in the vineyard and wine-making practices the basis of its growth. Château Lafite Rothschild was the start of the Domaines Barons de Rothschild. It was the first Château acquired by the Rothschild family in 1868 and inspires and guides the winegrowing practices at the various vineyards. 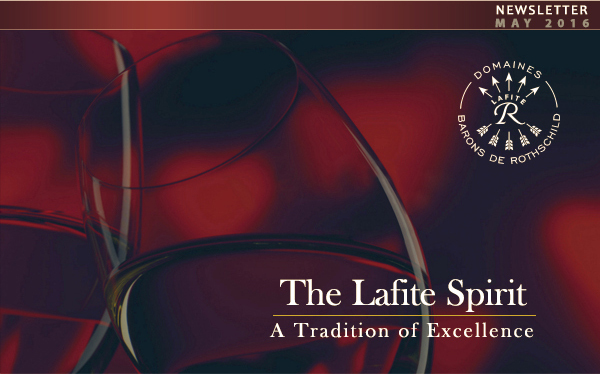 The expertise and tradition upheld for five generations by the Rothschild family are applied to all of the properties with the objective of producing high quality wines full of finesse and elegance in the "Lafite Spirit". With 1,200 hectares of vineyards, Domaines Barons de Rothschild (Lafite) works with an international network of more than 80 distributors. 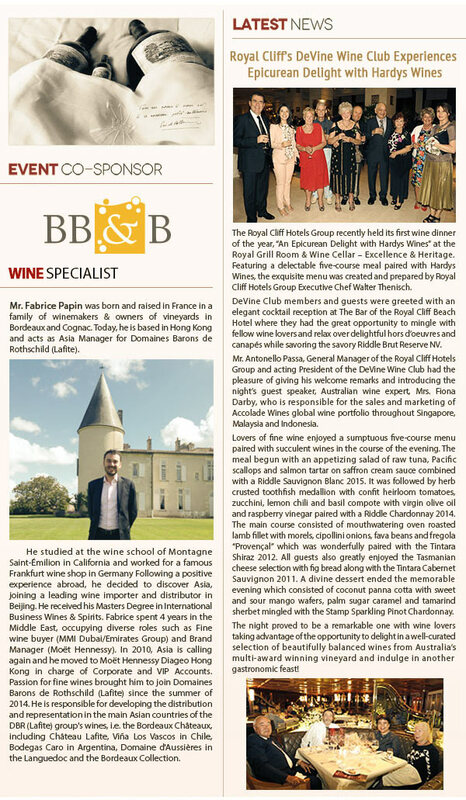 Mr. Fabrice Papin, the Asia Area Manager based in Hong Kong for Les Domaines Barons de Rothschild will be our wine specialist for the evening. Born and raised in France in a family of winemakers as well as owners of vineyards in Bordeaux and Cognac, he began his professional career in 2004 after studying at the wine school of Montagne Saint-Émilion in California and working in Germany for a famous Frankfurt wine shop. Passion for fine wines brought him to join Domaines Barons de Rothschild (Lafite) since the summer of 2014. He is responsible for developing the distribution and representation in the main Asian countries of the wines of Domaines Barons de Rothschild. I am sure that this will be another unforgettable night to remember. 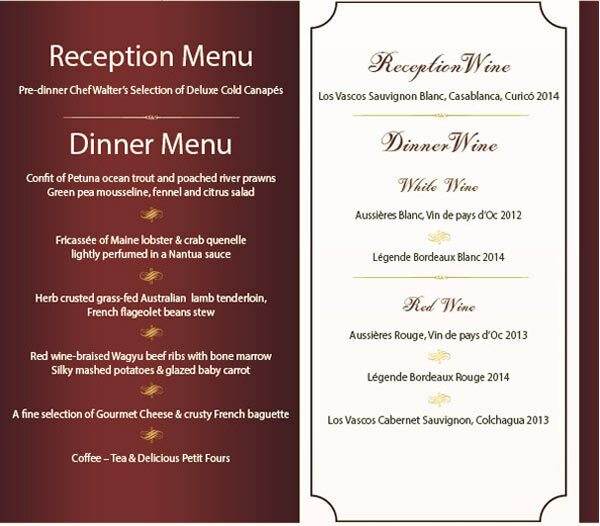 As wine aficionados and valued deVine Club members of the Royal Cliff, we are pleased to provide you with this wonderful opportunity to be able to taste and experience the variety and quality of the famous wines from Domaines Barons de Rothschild (Lafite). We look forward to see you on this prestigious evening.